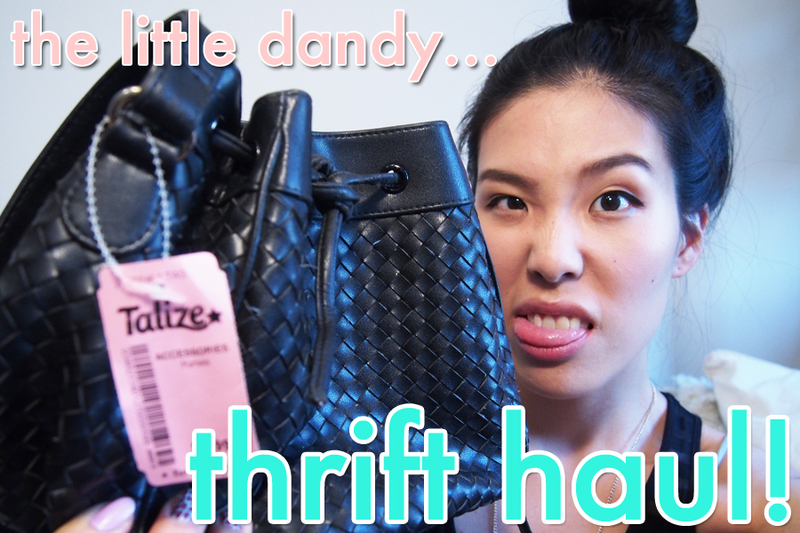 THE LITTLE DANDY : Thrift Haul! GOOD DAY darling Dandies! As per the photo above, I am bringing you a thrift haul! (cue woo-girls). 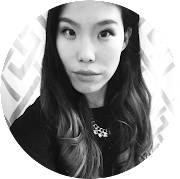 If you've stuck around since the beginnings of my blog, then you'll know that I am a thrifter. I love to thrift. I love old things. I love looking like a stinky ol' grandma. 'Nuff said. Since moving back to Toronto, I hadn't really had a chance to do some GOOD thrifting. Granted, I've perused some Goodwills and 'Thrift Shops' (literal name of store), but these ventures have consistently proven to be unfruitful. Recently, Talize (one of my favourite thrift shops of ALL TIME) reached out to me about being part of their Brand Amabassador Program. OBVIOUSLY, I agreed. Look forward to more posts like this to come! 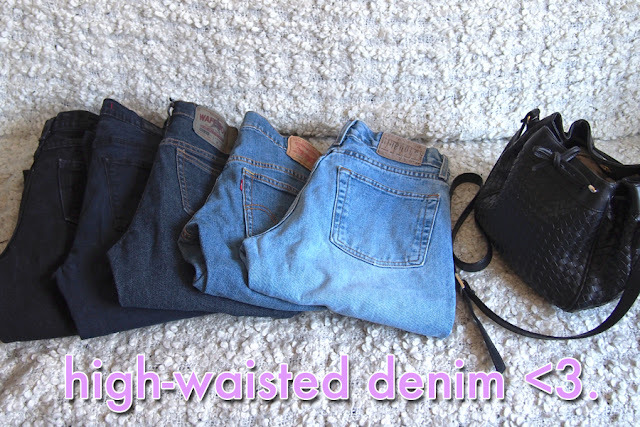 For my first thrifting venture as a Talize Brand Ambassador (I hope you read this in a British accent...I did), I was on a mission: HOARD HIGH-WAISTED DENIM. My amazing assistant (aka most perfect boyf in LIFE) helped me sift through all of the denim wracks. 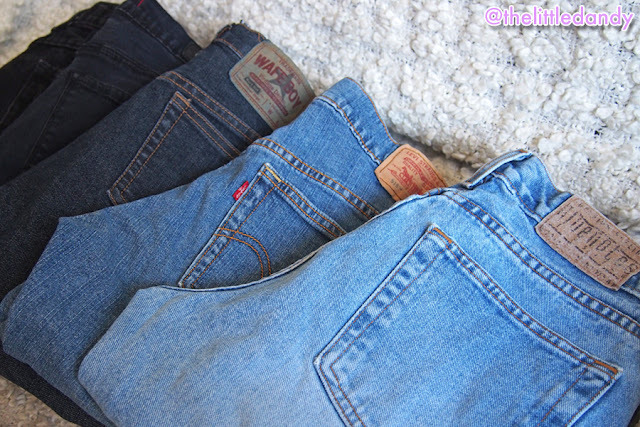 I ended up getting 5 pairs of high-waisted jeans. 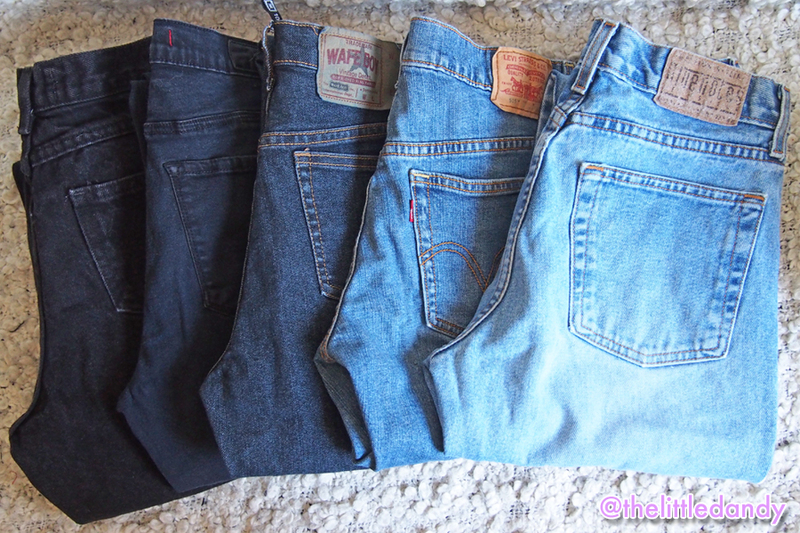 4 of which will be DIY'd into shorts. Summer, COME AT ME. 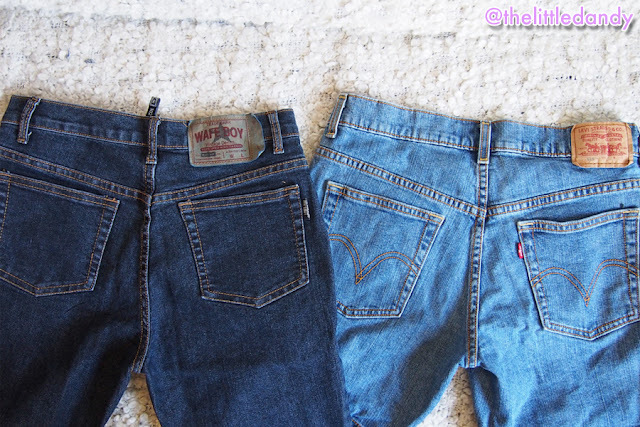 I just felt the need to show you some thrifted crocthes and butts. That's all. The last item I got is probably one of my favourite bags at the moment. It is the perfect little black bag. 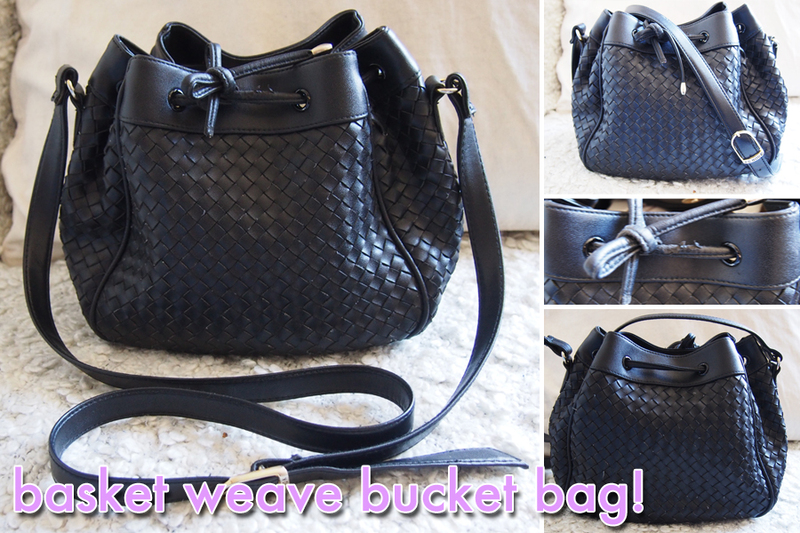 Behold this adorable basket-weave bucket bag by J.G. Hook. I've been wanting a bag with woven leather detailing for a while, and I have also been on the hunt for the perfect bucket bag; the best of both worlds came together and birthed this bag! Mind you, she does need a bit of fixing up. 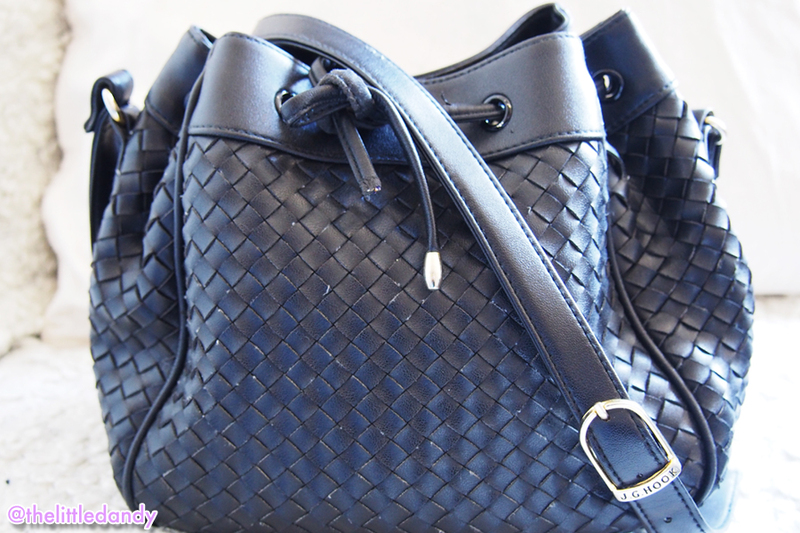 The leather pull is damaged and will need to be replaced, but the rest of her is in GREAT condition. I am so excited to use this bag! Watch my YouTube Thrift Haul video below for more details on Brands & Pricing of everything I got! I snagged some pretty awesome deals! 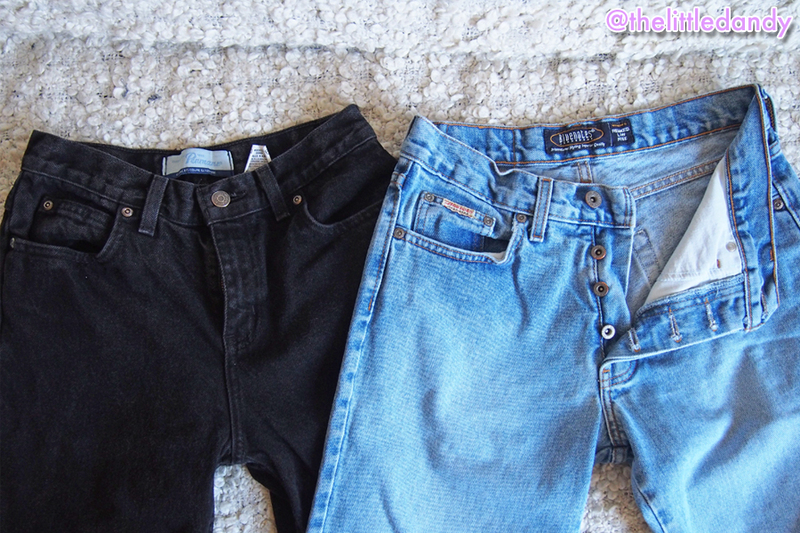 And stay tuned for a DIY denim cut-offs tutorial to come! I love high waist jeans! :) I can't find it here :p But is so vintage! Your mission was like mine but mines was way harder to find it around where i live.